Add Mexican flavours (don’t forget to adjust your spice level to suit!) to roasted cauliflower and you’ll transform this classic vegetable into a flavour sensation! 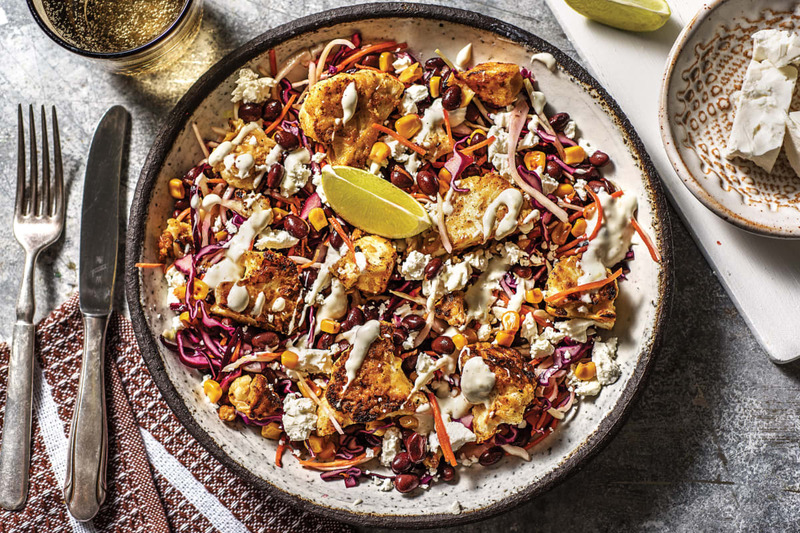 This colourful bowl is creamy, rich and crunchy – just like the best salads should be. Preheat the oven to 240°C/220°C fan-forced. Cut the cauliflower into small florets. Cut the kumara (unpeeled) into 1cm pieces. Place the cauliflower and kumara on an oven tray lined with baking paper. Add the Mexican Fiesta spice blend and a good drizzle of olive oil and toss to coat. Arrange in a single layer, then roast for 20-25 minutes or until tender. SPICY! You may find the spice blend hot! Feel free to add less, depending on your taste! While the cauliflower and kumara are roasting, drain and rinse the black beans (see ingredients list). Zest the lime to get a pinch then slice into wedges. Slice the kernels off the corn cob. 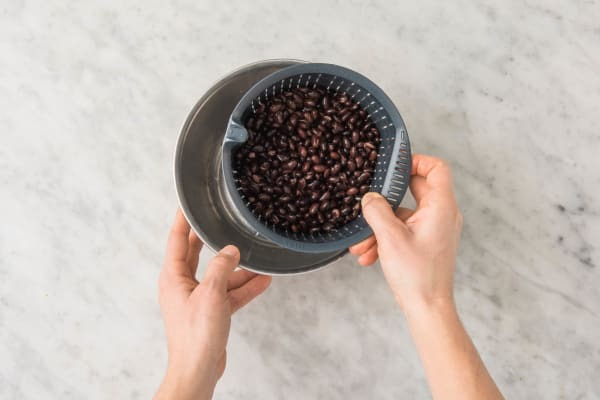 TIP: Do this in a large bowl to prevent the kernels from going everywhere! Heat a large frying pan over a high heat. 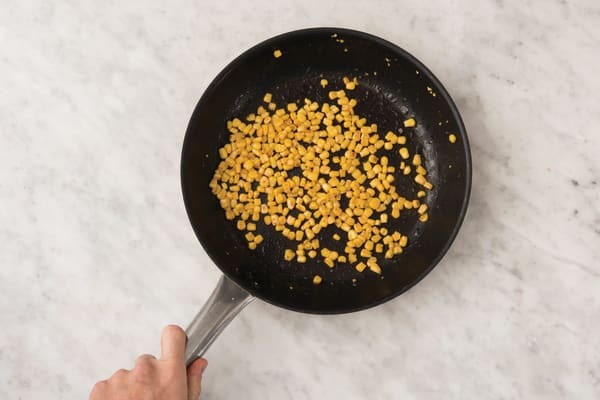 Once hot, add the corn kernels and cook for 4-5 minutes, or until lightly browned. 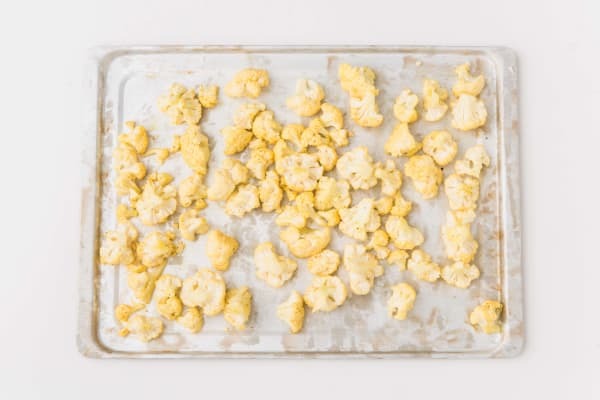 TIP: Cover the pan with a lid if the kernels are jumping out. Add the black beans and cook for 1-2 minutes, or until warmed through. 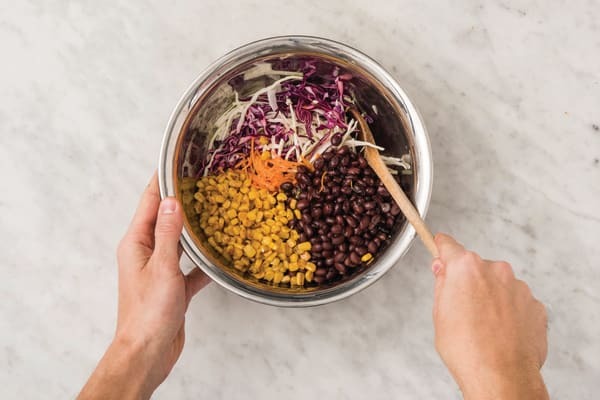 In a large bowl, combine the slaw mix, cooked corn and black beans. Add a squeeze of lime. Drizzle with a little olive oil and season generously with salt and pepper. Toss to combine. 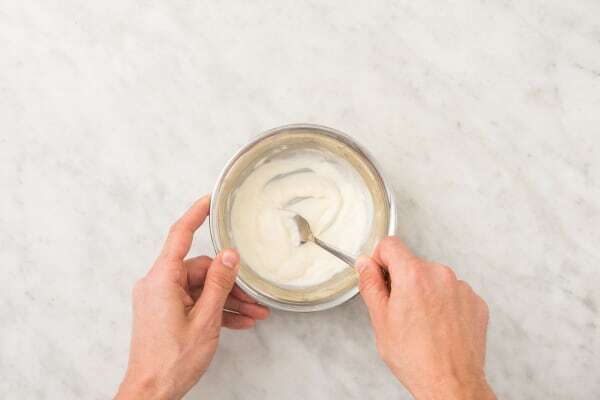 In a small bowl, combine the lime zest, mayonnaise and water with a squeeze of lime juice. Season with salt and pepper. 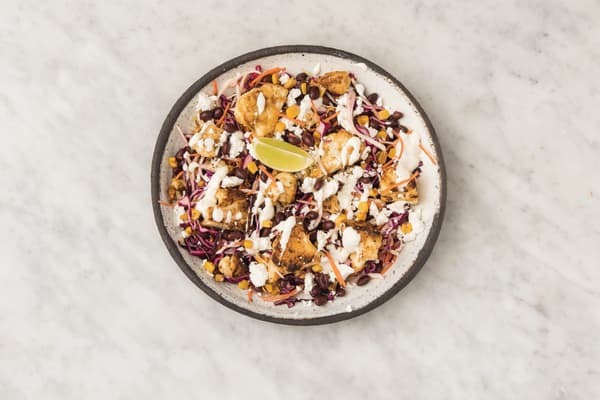 Divide the black bean slaw between bowls and drizzle with the lemon mayo. Top with the Mexican cauliflower and kumara, and crumble over the feta (see ingredients list). Serve with the remaining lime wedges.